I recently caught up with Dineeth and Luke who are a pair of great fellas who are TO'ing the awesomely named The Flying Cheese RTT, which is an ITC one day event, being held at Mt Gravatt, on the 17th February 2018 from 900-1800. Any information you or to sign up need please contact the fellas at TheFlyingCheeseGaming@gmail.com. What kind of format are you using? Do you have a copy of your players pack? Any call outs that the players need to be aware of? It’s pretty standard stuff, we’re trying to be as simple as possible. As it’s the first event of its type, and our first time running one, we limited it to a 1 day 20 person event. We will be using the BCP (Best Coast Pairings App) Please download the App, create an account and register for our event. After registering for the event, click “player details” in the app, and submit your list when ready. List submissions are due by 11:59pm on Saturday February 10th 2018. Please note that this will make your list visible to both the TO’s and other players –this is the intention here. Your major faction is the faction keyword of the largest detachment in your army. For example, if I have a 200pt Death Guard detachment, a 1100pt Emperor’s Children detachment and a 700pt Black Legion detachment, my major faction is <Emperor’s Children> in my <Chaos> army. No modifications, but we did decide to keep the 32 Power Level cap for individual models, just as a bit of a safety net. We’re looking to remove it going forward. We will be enforcing the 3 colour minimum protocol as seen at SoCal Open and other events. What got you into the hobby? and whats your favorite army? Dineeth- I’ve been painting on and off for years. Like many I started as a kid, and went in and out of the hobby as I got older. During university studies (college for all the Americans) I studied dentistry, and painting 40k was an amazing way to get my fine motor hand skills up. I was painting one day at the local store and I met Luke (the other TO of this event) who introduced me to the game - we’ve been mates ever since. We’re both massively competitive gamers, and 40k ticks all the boxes for us. As for favourite army, I’m a marines guy! I started with Blood Ravens and Blood Angels, but I’ve moved to Salamanders with 8th and am trying out some off-meta marines play for CanCon this weekend, Australia’s premier ITC event. 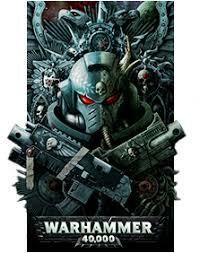 Luke- When I was a kid I wanted to play "warhammer 40k fire warrior" and was told games workshop sells the game. So I went in my local store, loved the models and idea of the game and had been hooked since! I was 10 at the time. I fell out of the game during high school due to money, but during uni I picked it back up to get some stress relief during some hard semesters. The painting helped with my dexterity and the competitive gaming is what I loved also. I personally love Eldar, they're delicate but also so versatile. I love that they spend years specializing is a discipline and the idea of Exarchs. Most of all I love the Ynnari, the idea of a last race banding together to survive despite differences is awesome! Dineeth- Honestly this is our first event. I want to run events the way I would want have run for me. The 40k scene in Brisbane has some amazing leaders and TO’s, who cultivate a great environment for players. I want to see more competitive events in the area, and ITC seems like the way to do it. We hope to grow our local community into better gamers, who may one day compete at higher levels around the world. Luke- This is our first event, so I just would like to run a tournament that is well organized and gives Brisbane a competitive gaming scene, as there isn't really a local ITC scene. We hope to grow a larger competitive gaming scene that raises the skill level of some already incredible players, while also providing tournament rules that can separate players well during the event. Well it sounds like it will be an amazing event, I wish you fellas all the best and hope everyone going has a blast!